The INOMICS Salary Report 2018 provides a key understanding of the average salary levels for economists in both academia and the private sector. The findings should be helpful to give a general understanding for those considering an academic or private sector career in economics. The INOMICS Salary Report 2016 reflects job market and salary trends for economists, ranging from those just starting their Master’s to those working as senior professors or researchers in academia and the private sector. 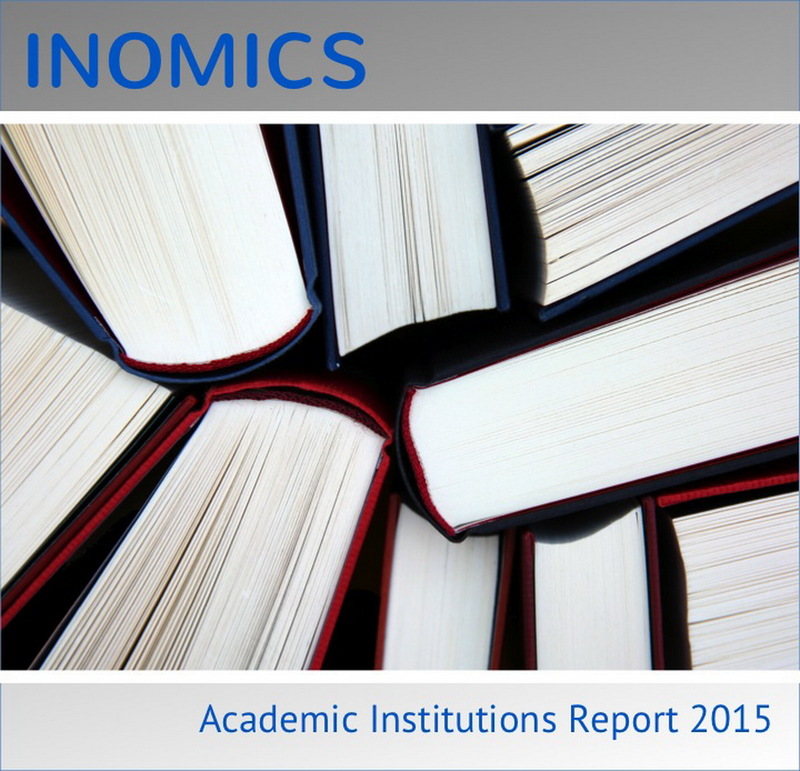 The INOMICS Salary Report 2015 offers key insight into the academic job market. The findings are based on over 800 responses to a survey conducted between February and April 2015. The report compares average salaries in different regions and countries, taking into account age and professional experience. 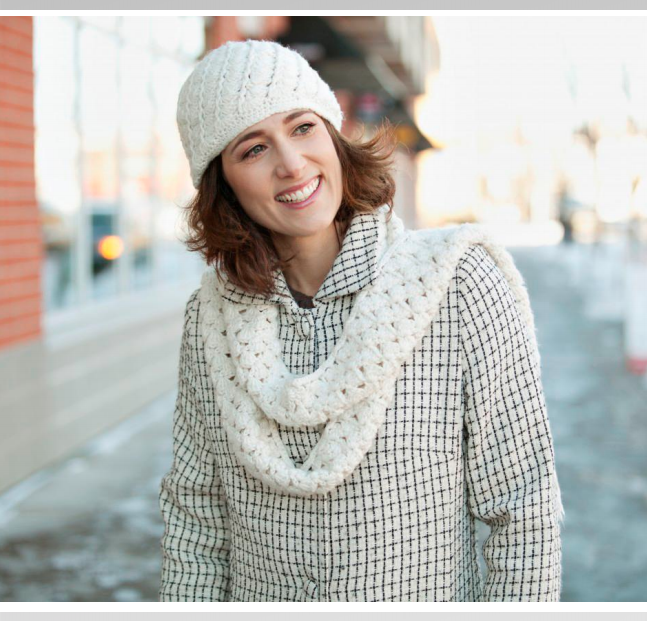 The information presented in this study supports applicants in making informed career choices. It also provides recruiters with crucial information about the current state of the job market to help them find and attract the best candidates. 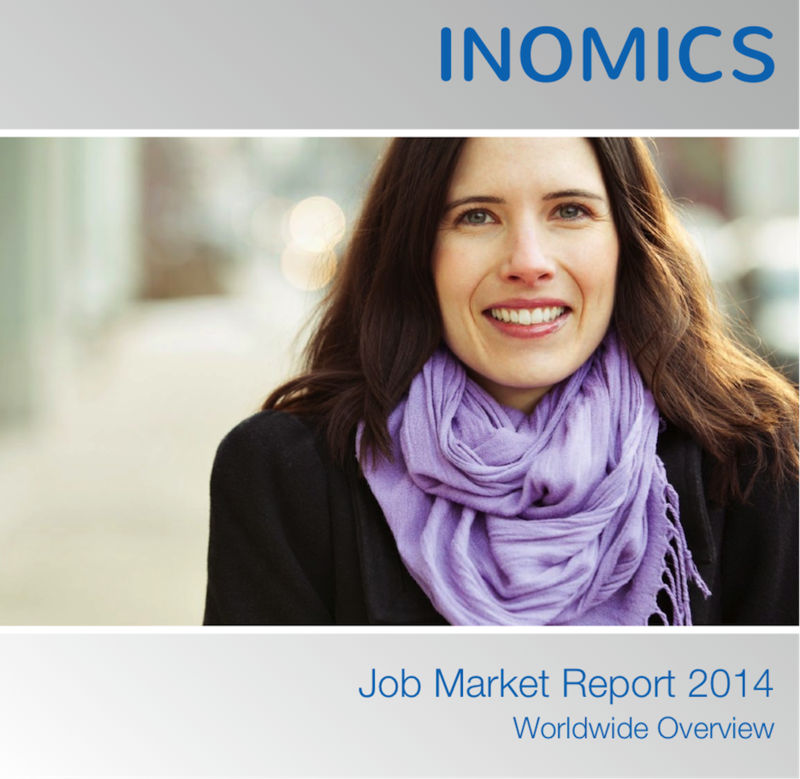 The INOMICS Job Market Report offers a detailed overview of education level, work experience and corresponding average salaries in different countries. The findings are presented from a survey conducted between April and June 2014 on the basis of over 1000 academic professionals. The aim of the report is to support applicants in making informed career decisions. 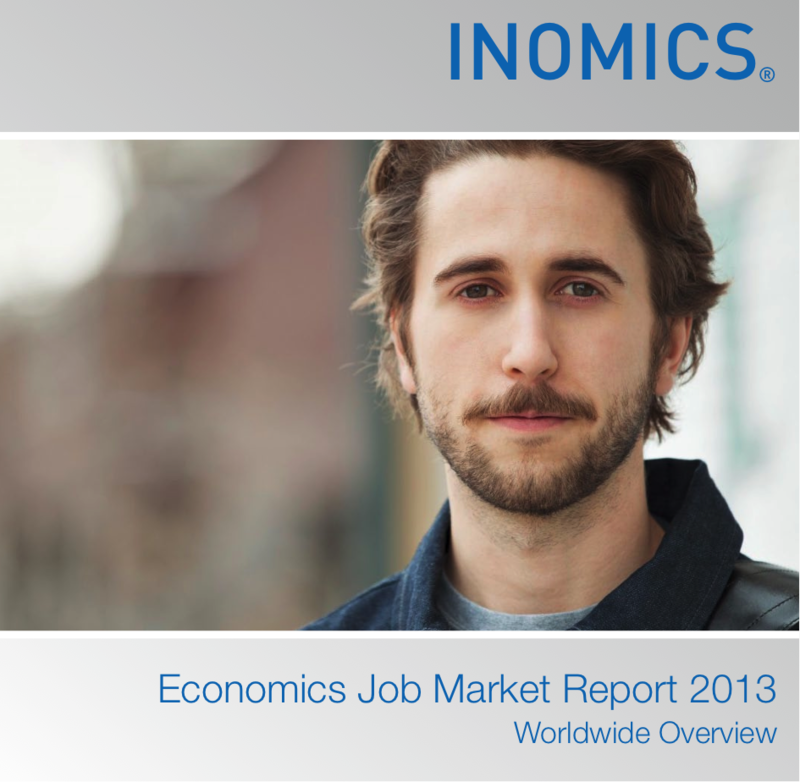 The Worldwide Economics Job Market Report 2013 includes a detailed overview of the job market for economists. It discloses information about salaries, areas of specialization, mobility between countries and mobility between subject areas. The report also includes information about the criteria which recruiters use when choosing the right candidate, as well as what job seekers look for when they are searching for a job. 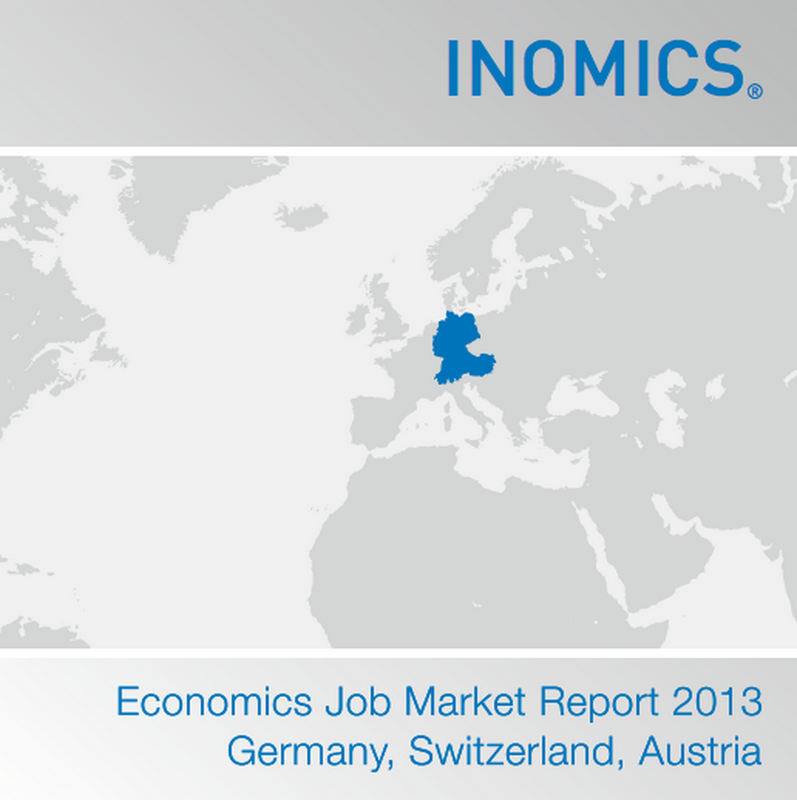 The Economics Job Market Report 2013 for Germany, Austria & Switzerland is part of the regional series of the INOMICS Job Market Reports 2013. It reveals unique insights about salaries of economists, segmented and analyzed by the type of position, education level and experience. Additionally, it covers preferences of recruiters and candidates in the job market and level of mobility of the candidates geographically and between the fields of specialization. 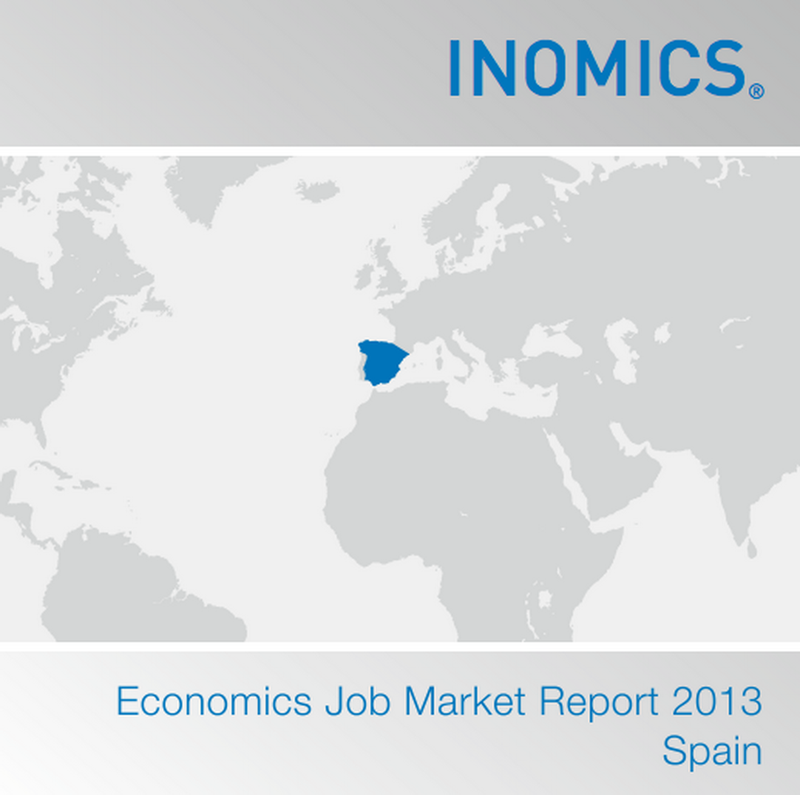 The Economics Job Market Report 2013 for Spain is part of the regional series of the INOMICS Job Market Reports 2013. It reveals unique insights about salaries of economists, segmented and analyzed by the type of position, education level and experience. Additionally, it covers preferences of recruiters and candidates in the job market and level of mobility of the candidates geographically and between the fields of specialization. 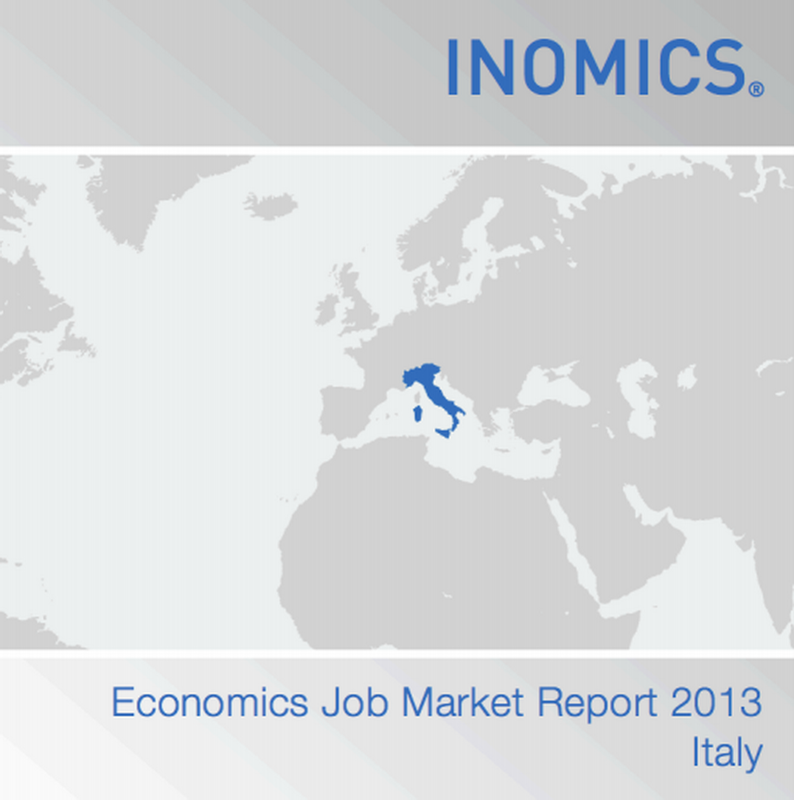 The Economics Job Market Report 2013 for Italy is a part of the regional series of the INOMICS Job Market Reports 2013. It reveals unique insights about salaries of economists, segmented and analyzed by the type of position, education level and experience. Additionally, it covers preferences of recruiters and candidates in the job market and level of mobility of the candidates geographically and between the fields of specialization. 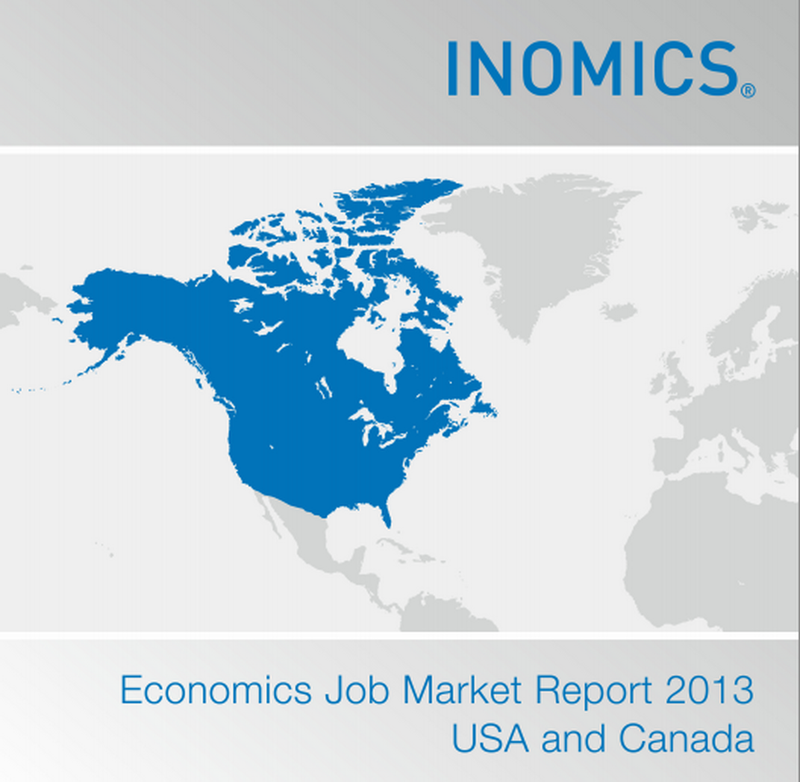 The Economics Job Market Report 2013 for USA & Canada is part of the regional series of the INOMICS Job Market Reports 2013. It reveals unique insights about salaries of economists, segmented and analyzed by the type of position, education level and experience. Additionally, it covers preferences of recruiters and candidates in the job market and level of mobility of the candidates geographically and between the fields of specialization. 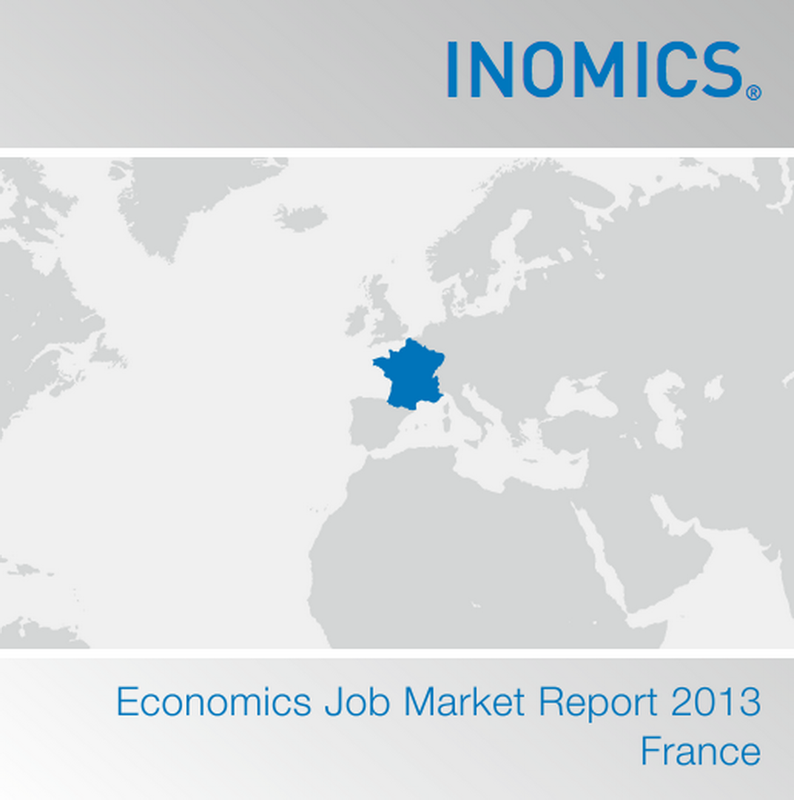 The Economics Job Market Report 2013 for France is a part of the regional series of the INOMICS Job Market Reports 2013. It reveals unique insights about salaries of economists, segmented and analyzed by the type of position, education level and experience. Additionally, it covers preferences of recruiters and candidates in the job market and level of mobility of the candidates geographically and between the fields of specialization. 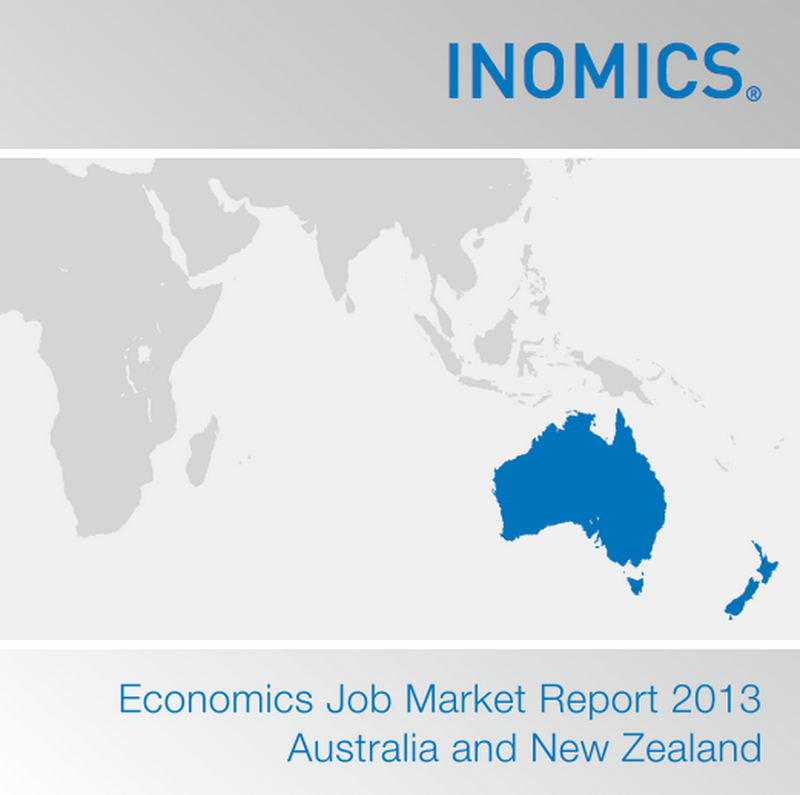 The Economics Job Market Report 2013 for Australia & New Zealand is part of the regional series of the INOMICS Job Market Reports 2013. It reveals unique insights about salaries of economists, segmented and analyzed by the type of position, education level and experience. Additionally, it covers preferences of recruiters and candidates in the job market and level of mobility of the candidates geographically and between the fields of specialization. 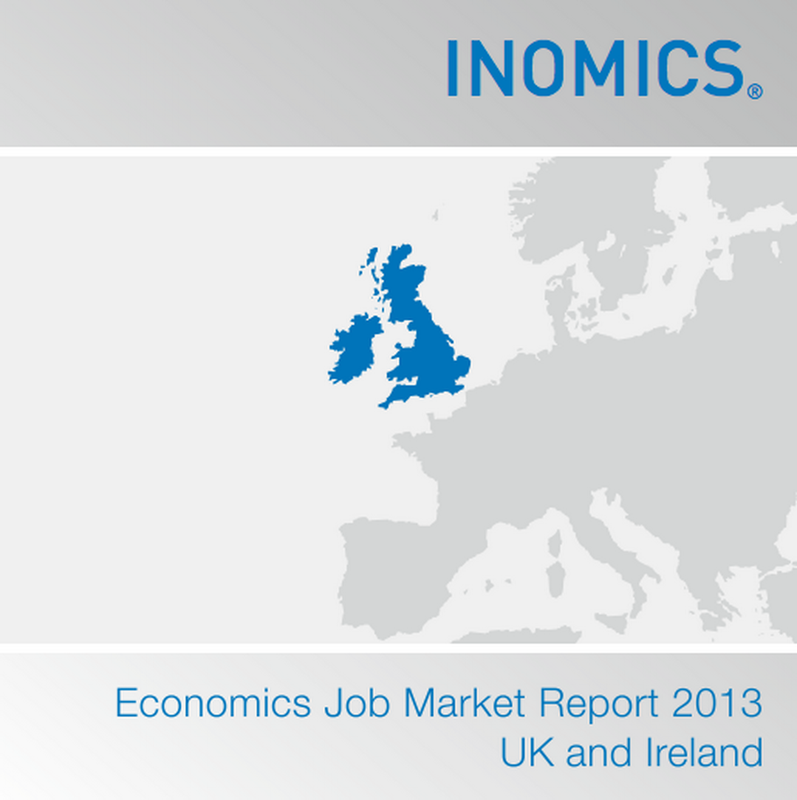 The Economics Job Market Report 2013 for UK & Ireland is part of the regional series of the INOMICS Job Market Reports 2013. It reveals unique insights about salaries of economists, segmented and analyzed by the type of position, education level and experience. Additionally, it covers preferences of recruiters and candidates in the job market and level of mobility of the candidates geographically and between the fields of specialization. 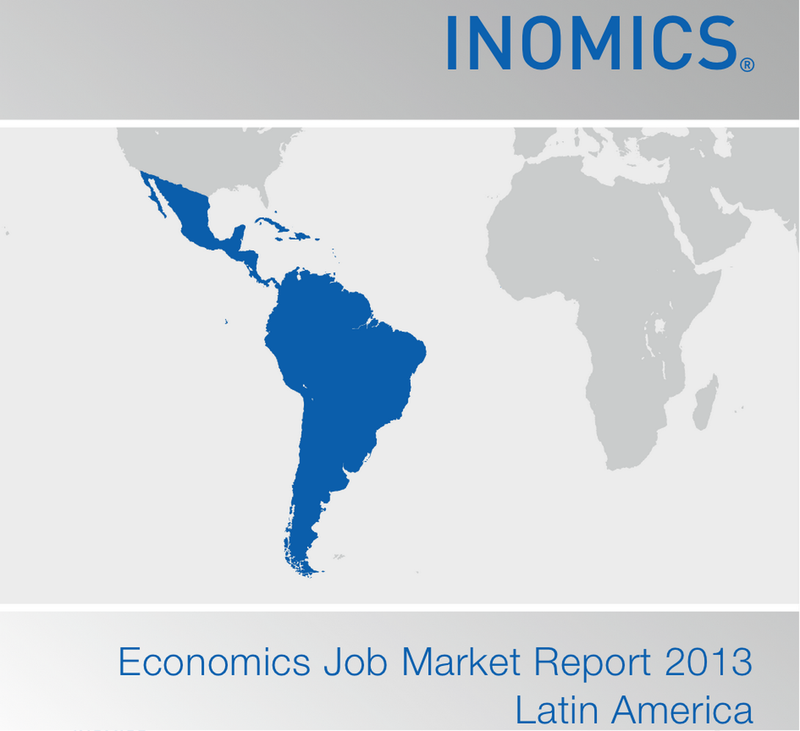 The Economics Job Market Report 2013 for Latin America is part of the regional series of the INOMICS Job Market Reports 2013. It reveals unique insights about salaries of economists, segmented and analyzed by the type of position, education level and experience. Additionally, it covers preferences of recruiters and candidates in the job market and level of mobility of the candidates geographically and between the fields of specialization. 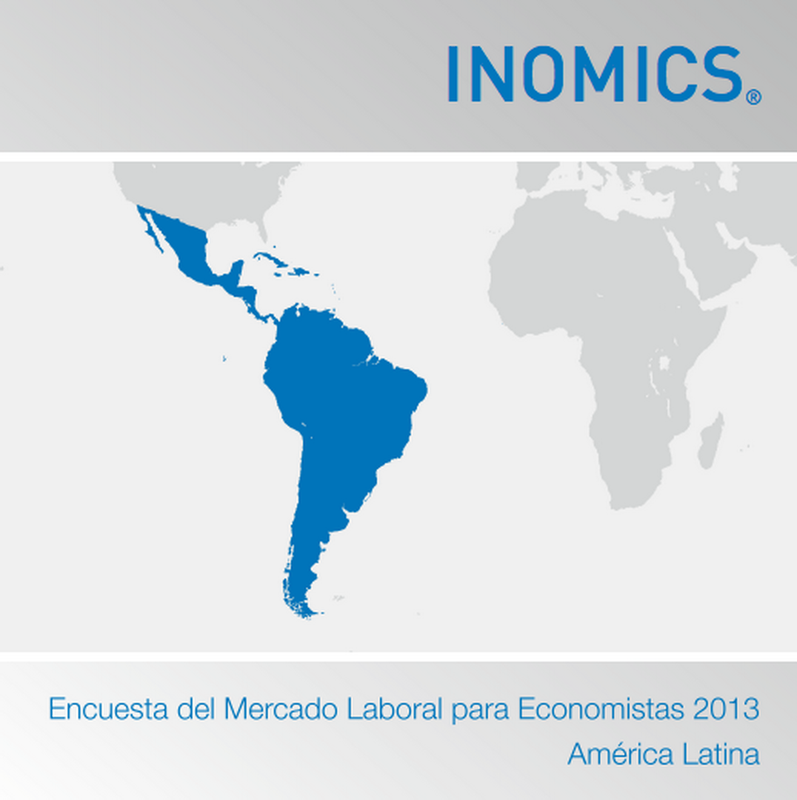 El Reporte del Mercado Laboral para Economistas 2013 - América Latina hace parte de la serie de reportes regionales INOMICS sobre el Mercado Laboral en diferentes países y regiones del mundo. Éste revela una visión única sobre los salarios de los economistas, segmentados y analizados por tipo de posición, nivel de educación y experiencia laboral. Asimismo, incluye preferencias de los empleadores y candidatos en el mercado laboral, además de niveles de movilidad geográfica y entre campos de especialización registrados por los mismos. The report offers a detailed overview of top institutions and countries for academics to work in. It reveals valuable insights about the working experience and careers development of over one thousand academics from nearly one hundred different countries. The issues raised are those of importance to job seekers, for example work/life balance or quality and friendliness of the working environment. The aim of the report is to help those who are searching for advice and information on career and the experience of working in academia. 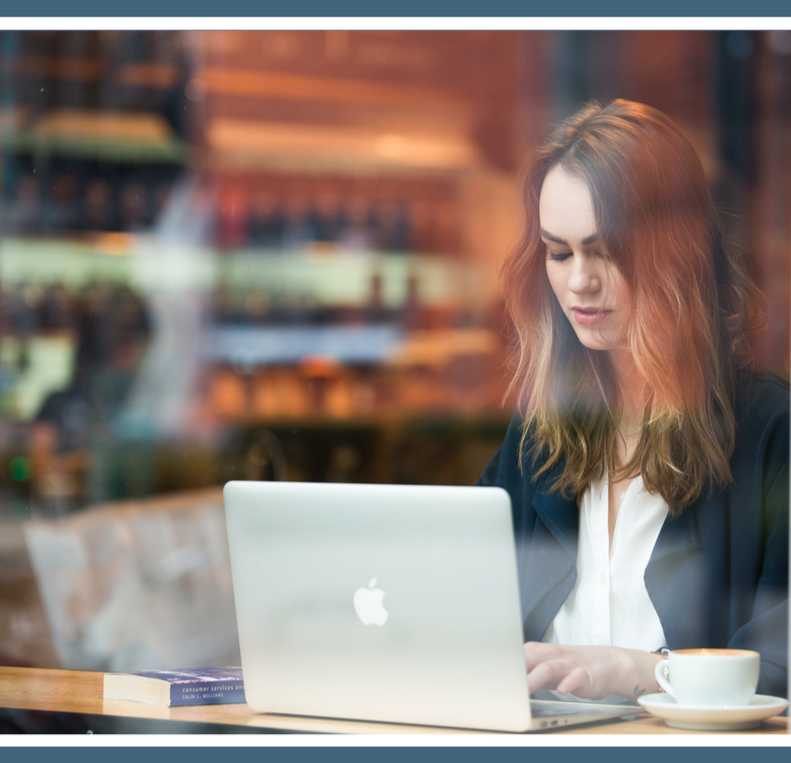 Applying to Master’s programmes can be a daunting task. 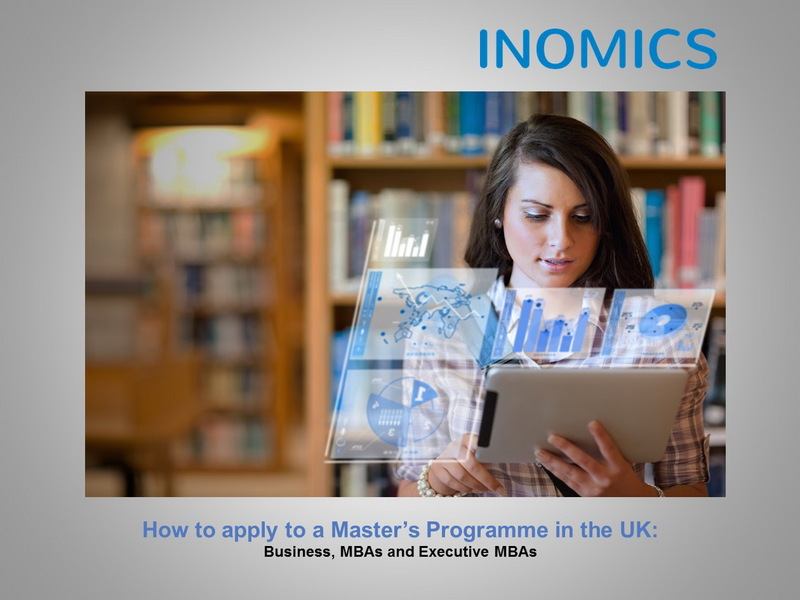 In order to help students in this endeavour, this report gives an overview of application requirements and entrance exams, as well as tips for a successful application to business and MBA degrees in the UK. Choosing a Master’s program can be a daunting activity. 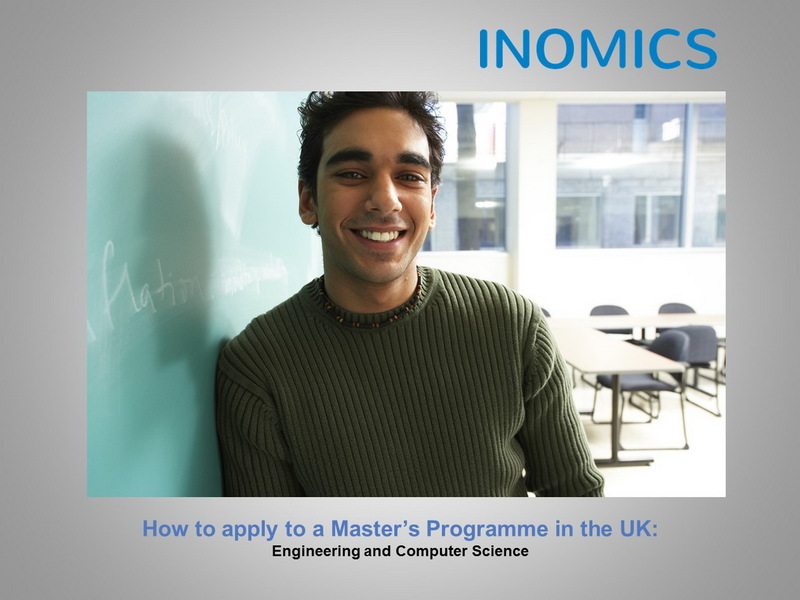 Here at INOMICS we know how important is for students to have access to information about the wide range of educational opportunities around the world. In order to help students, we have developed a complete report with key information to help you find and apply to the right Master’s programme for you. Find out about application requirements, acceptance rates and required entrance exams. The report delivers key advice to help students successfully apply to universities in the UK. Find out about the best time to apply, what is needed for your application and as well as what admissions officers are looking for from you. 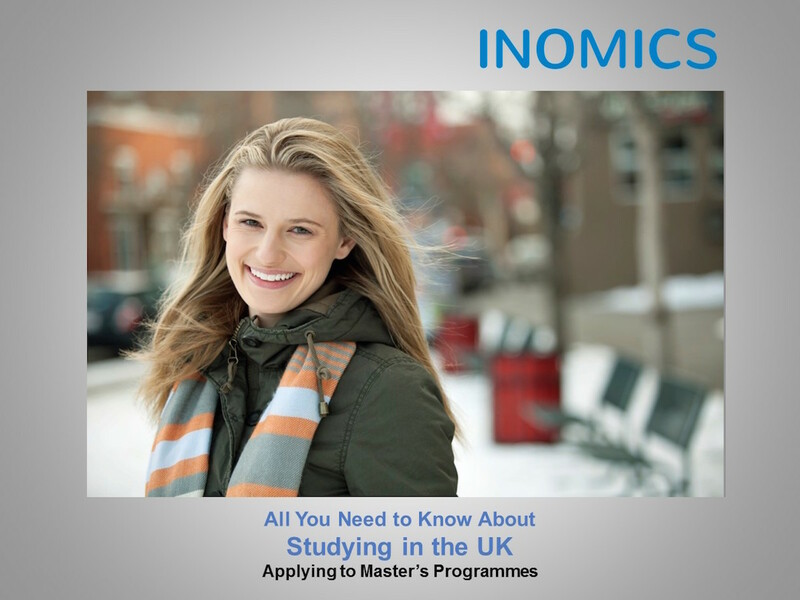 The high quality of education offered by British universities, as well as the worldwide recognition by employers and academia, make the UK an ideal destination for studying your Master’s. 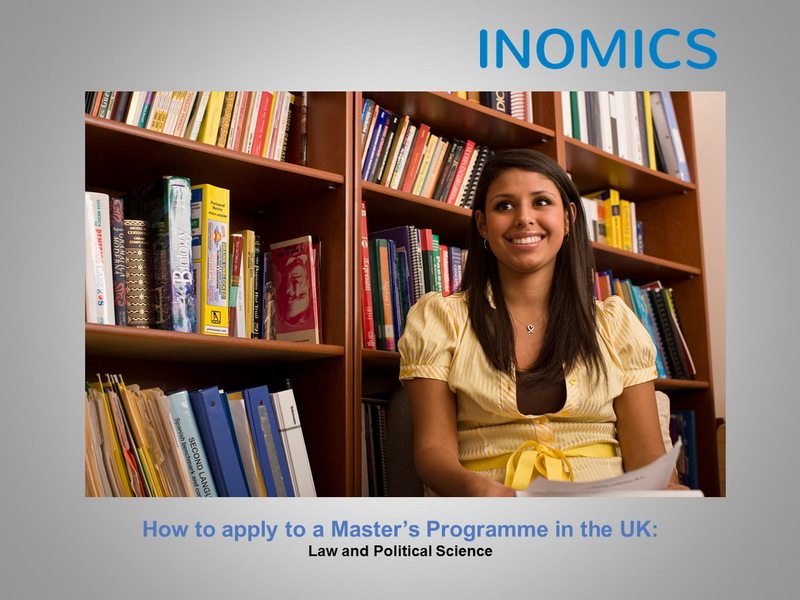 This report gives a general overview about application requirements, acceptance rates, and required entrance exams to study law and political science in the UK. 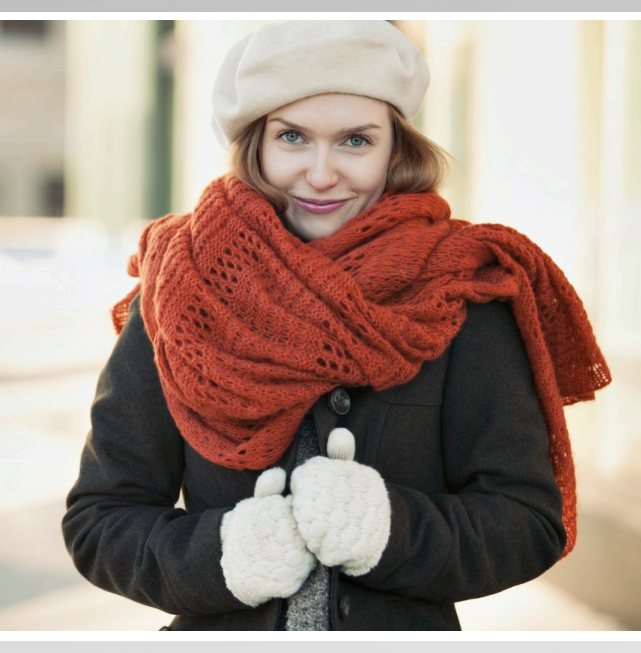 Applying to Master’s programmes can be a daunting task. 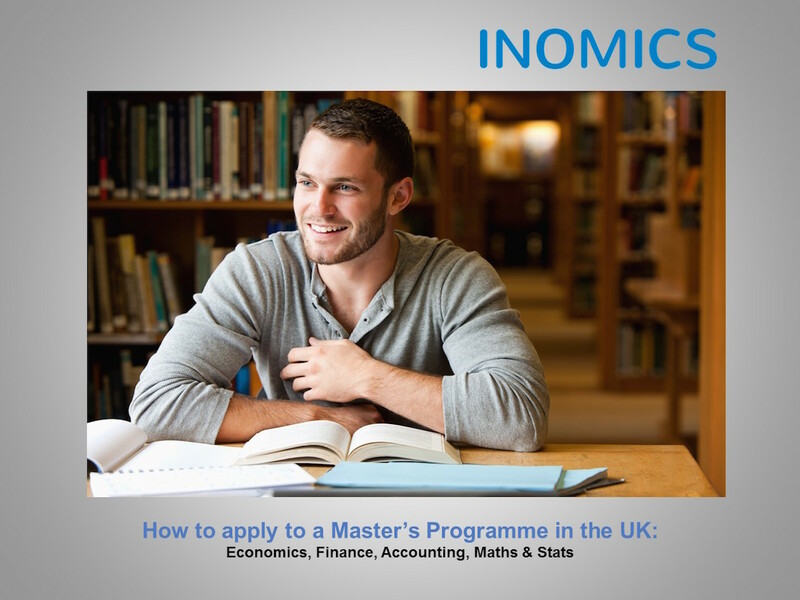 In order to help students in this endeavour, this report delivers key information to successfully choose and apply to a Master’s programme in economics, finance, accounting, maths or stats in the UK.